An exquisite Christmas gift for that classy, wine connoisseur in your life this holiday season! The Gold Wine Club offers a magnificent collection of Christmas gifts for women that continue on throughout the year. Featuring unique selections of wine that are created from some of the most outstanding boutique wineries in California, this monthly club enables her to indulge in the fabulous, hard-to-find flavors of tantalizing wine gifts each and every month. Choose to send either 2 or 4 bottles of glorious reds, wonderful whites, or satisfy her taste with both. Packages range from a single month’s delivery to indefinite deliveries, and are shipped directly to your recipient’s door. This versatile monthly club gift is perfect for loved ones far away, friends and relatives across town, or even the lady of the house this Christmas. 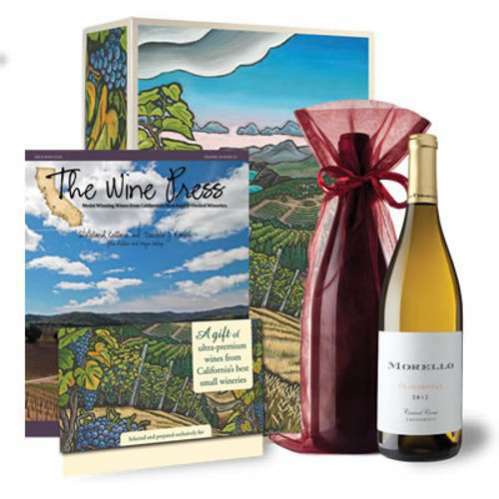 As an added bonus, she will receive our engaging publication The Wine Press, with each shipment. Inquire about the PLUS! Program, which features an extra bottle of amazing wine that is too in limited of a supply to offer regular club members.